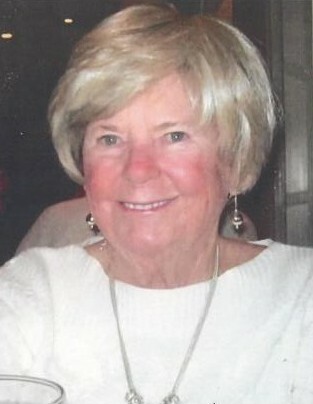 Caroline Anne Federal Morrissey of Laurel, Maryland passed away on January 24, 2019. She was born in 1946 to Howard and Caroline Federal in Charlotte, North Carolina. She was raised in Richmond, Virginia, lived in Virginia Beach, and settled in Laurel as she started her family. She adored her family and was proud of her southern roots. She brought joy and laughter to everyone she knew and was well loved. She is survived by her devoted husband, James Morrissey, her beloved daughter, Ashley Davis, and her soul sister, Mary Jane Newbill, as well as nieces, nephews, and many cousins. She was preceded in death by her son, Hunter Morrissey and her parents, Howard and Caroline Morrissey. There will be visitation from 2-3:30 on Wednesday, January 30th, followed by a memorial service at 3:30 at Donaldson Funeral Home in Laurel. In lieu of flowers, donations can be made to The Hospice of the Chesapeake.